When you are looking for a veterinary care clinic you should be able to count on superior care and quality service. 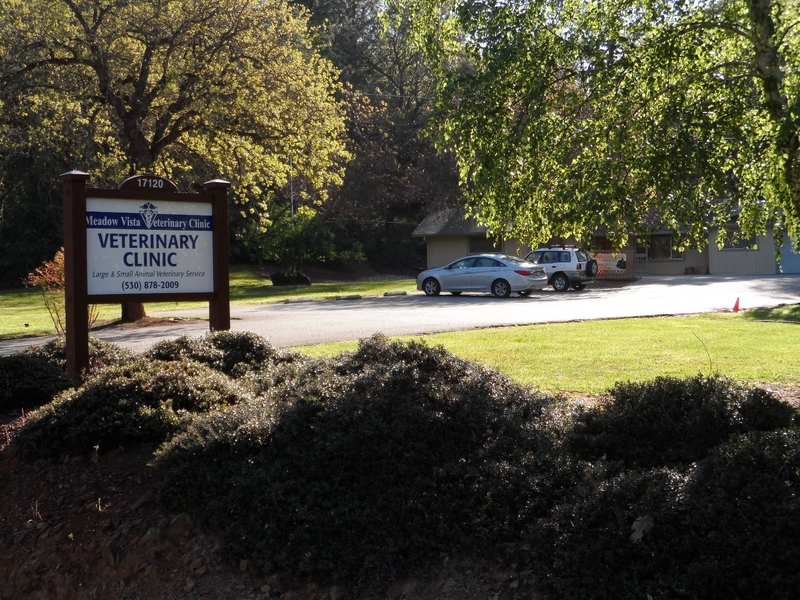 We at Meadow Vista Veterinary Clinic in Meadow Vista, California have assembled an expert team of veterinary professionals to bring you the best possible health care for your pet with the hometown service that is part of being in a small town. We have a state of the art veterinary facility which is clean, comfortable, and efficient. At least once a year, you should take your pet in for a check-up. This will include a full physical exam, including checking teeth and gums to see if cleaning is necessary. Dr. Pamela Pussich or Dr. Joe Shelden will check the health of your pet from head to tail, and you will be very happy you came to Meadow Vista Veterinary Clinic for your pets care. Bring in any medical history you have of your pet when you come for your first visit. It's best to keep a journal of your pet's health throughout his or her life, including behavioral shifts. If you have something like this, share it with our team. If not, let us know everything that you think will be important and Dr. Pam or Dr Joe can work with whatever information you have. If necessary, our doctors can refer you to a specialist who has advanced expertise in areas such as internal medicine, specialized surgery, or ophthalmology.